a little more about the MX-520 . . . Built in Fukui, Japan in the same factory as our the beating multi-pallet MAM72 5 axis series, the MX-520 is the go to platform for SME companies & subcontractors not only making the transition from 3 / 4 axis operations into 5 axis, but those companies seeking high volume production, unerring quality & reliability from their 5 axis CNC production machines. 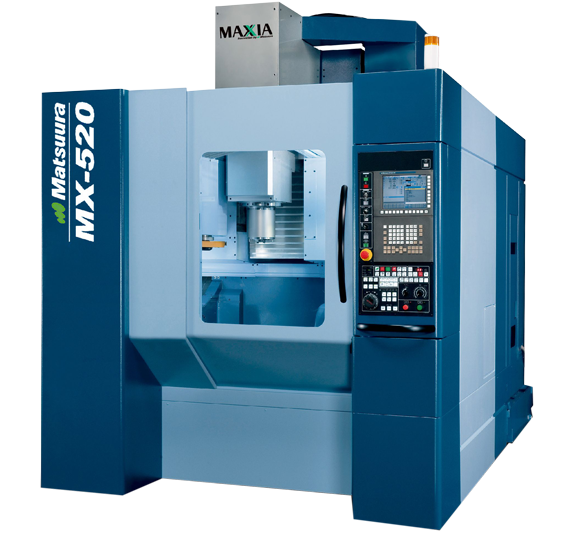 Launched to much acclaim globally in 2010, the MX-520 is a single table 5 axis machine tool primarily aimed at companies making the transition from 3 to 5 axis operations – although installations to date show that established users of Matsuura MAM72 products are also investing in this versatile machine tool.